Lower Austria (Niederösterreich) is situated in the Northeast of the country, bordering with both the Czech republic and Slovakia and counts over 1.5 million inhabitants. Vienna is a separate county – an island within Lower Austria. The state is very rich in archaeological finds, both of local and foreign production. The location at Schloss Asparn/Zaya is part of the Urgeschichtemuseum Mamuz which has a second location at Mistelbach. Until 2014, the museumwas known by the name 'Museum für Urgeschichte, Asparn/Zaya'. 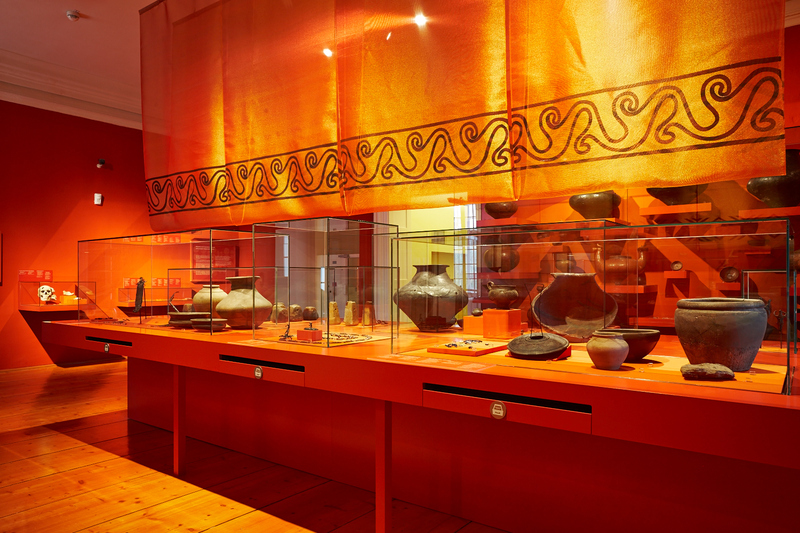 1970, the government of Lower Austria decided to open an archaeological museum in the monumental castle of Asparn an der Zaya, 60 kilometres north of Vienna. 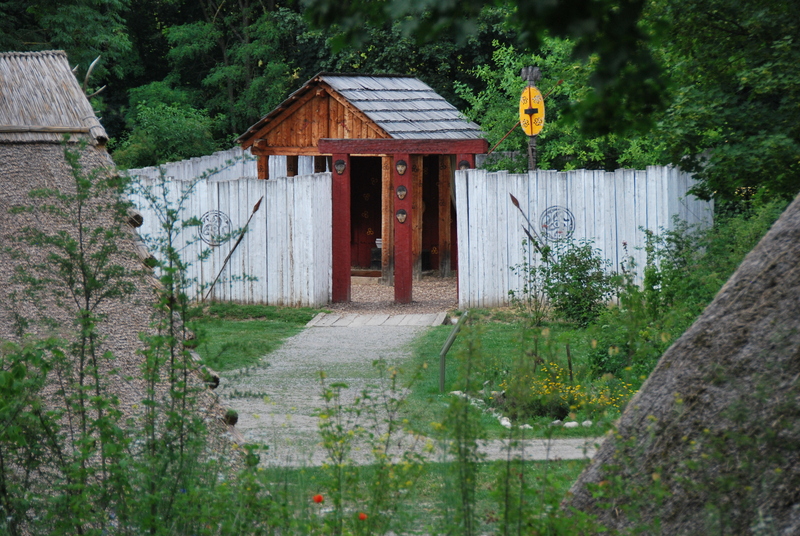 In the castle gardens, several prehistoric reconstructions were built. 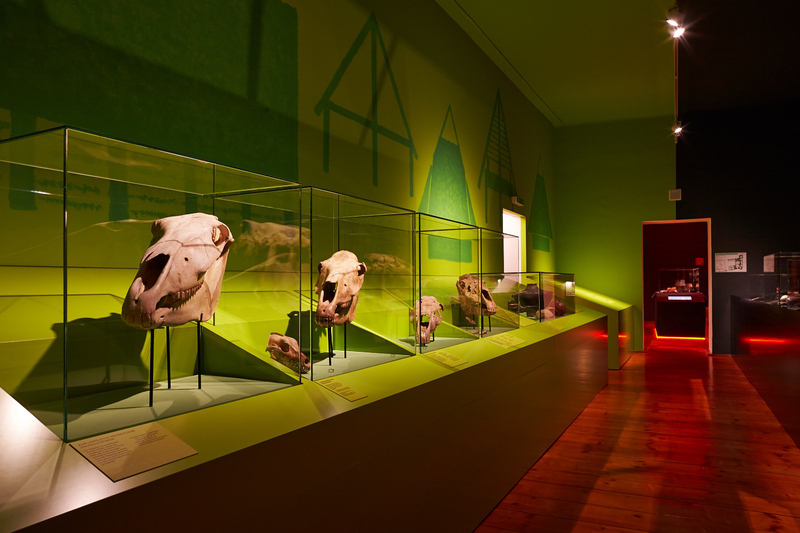 This was the very first combination of an indoor and outdoor archaeological museum in Austria. The museum is reasonably well situated for day trips from Vienna, both school groups (over 50% of all visitors) and archaeologystudents, less for day tripping tourists. The situation of the museum outside a larger city leaves plenty opportunity for all kinds of activities. However, by having the outdoor reconstructions in a castle park, there are no options for elaborate landscapereconstructions. A lot of attention is paid to authenticity and science. This does not prevent the museum from organising Celtic Festivals which sometimes include modern expressions of (for example) Irish Celtic culture. These events are one of the few occasions for living historyin the museum. The educationprogrammes are sought after and there are also workshops in (prehistoric) techniques, both for children and adults. Visitors first go through the 3 floors of the Renaissance castle with a wealth of information and original archaeological artefacts. The temporal exhibitions with themes like “Hallstatt – the cradle of the IronAge” or “Danube, Kings and druids – Celts along the Danube” are of great added value. With the inside exhibitions fresh in mind, visitors can set the reconstructed houses in the park in perspective. It is almost impossible to first take the outside tour and first then the inside one. 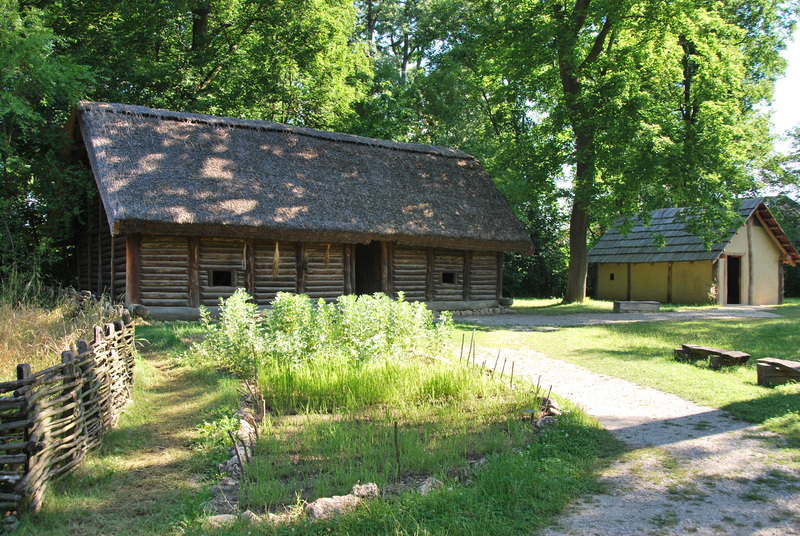 The (about 16) reconstructed dwellings in the museum garden are presented like an open-air museum, like ‘models’ – each of them depicts a style or a period in Austrian prehistory, like for example the large Band Ceramic(LBK) house or the Celtic temple. Besides that, there are sites in the park, serving as open-air laboratory, for example pottery kilns or smeltingfurnaces. The architectural reconstructions are built since the 1970s, they were extended again and again – depending on the state of research. The museum is an experience-museum with a lot of active stations in the exhibition and an outdoor exhibitionof scientific models. The buildings are set up so as you can imagine that it could have been. The scientific organisation of the museum has attracted many archaeologists and students over the decades. Asparn is probably one of the reasons, why Austria has such an active group of archaeologists reconstructing houses as well as executing serious archaeological experiments.